TAL HCD products are designed to endure and perform exceptionally, exceeding customer expectations. Our talented and skilled design and development team strives to consistently provide new and innovative products to customers at optimal prices. 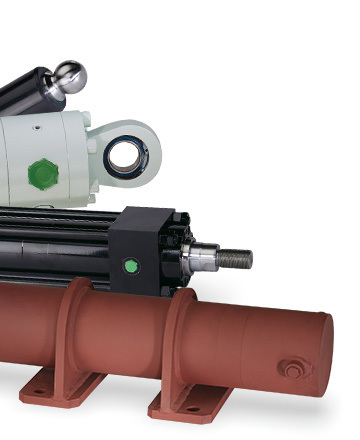 The team is constantly working towards developing quality custom cylinder designs that meet the special requirements of our OEM partners and are also efficient to manufacture; a two-fold approach was developed to effectively translate the customers' requirements into reliable performances even in the most demanding conditions. The design and development team of TAL HCD is equipped with the latest technology like Auto CAD, SolidWorks 3D - Modelling, Finite Element Analysis (FEA) and simulation, design, drafting and adopting ISO/CETOP standards in developing solutions pertaining to hydraulic cylinders and other related mechanisms. HCD has created designs for more than 60 diversified applications. Our design process involves capturing exhaustive customer inputs, providing design proposals applying Design Failure Mode and Effect Analysis (DFMEA) and process design through Process Failure Mode Effects Analysis (PFMEA), proto development and reviews, extensive validation and type testing, fitment on equipment, function and field trials, customer and field driven Corrective and Preventive Action (CAPA) and finally production release.